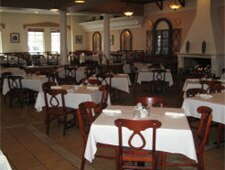 Athena Restaurant is a Mediterranean, Soups, and Pub Food restaurant where most Menuism users came for fun with friends, paid more than $50, and tipped more than 18%. 4 reviews of Athena Restaurant, first by zarnowme. 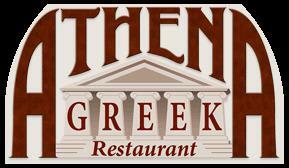 Athena Greek Restaurant is everything you could want for a wonderful authentic experience. The atmosphere takes you away to a faraway place. Beautifully decorated and amazing service is what you will find. I love to go to restaurants that will actually give you an “experience”. Opa!! You must order the flaming cheese!!! It not only tastes amazing, but it gives you that excitement of being in Greece. Opa!! they yell! You just feel happy being there. I want to go again and again and bring everyone I know. Wow! Great place!! I highly recommend the combination plate, so you can have a variety of Greek dishes. It consists of Mousakas, pastitsio, dolmades, leg of lamb, rice, potatoes and vegetables. Everything was amazing! Each item was better than the next. So delicious! These dishes from the Athena Restaurant menu are contributed by Menuism users directly, as part of a restaurant review, or as part of a photo upload. Table space is at a premium on the patio when the weather is nice, despite a two-hour limit on tables. Get there early. Do you own Athena Restaurant? Contact us to connect with your diners. Athena Restaurant is located near the cities of Pilsen, Armour Square, Near South Side, Mc Kinley Park, and Near West Side. People found this by searching for: Athena Chicago Gluten Free Menu, Athena Restaurant Chicago, Athena Restaurant Chicago Gluten Free, Athena Greek Restaurant, Chicago, Athena Restaurant Chicago Menu, Athena Restaurant, Athenas Resturant In Chicago, and Athena Greek Restaurant Chicago.